To further complement their line of products designed exclusively for hunting and shooting enthusiasts, Mack’s® introduces Hi Viz Ear Plugs. They are the only ear plugs that meet American National Standards Institute (ANSI) criteria for high-visibility in lime green safety apparel. 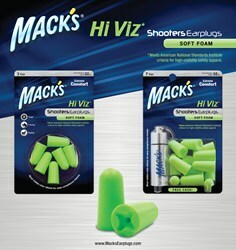 Mack’s® Hi Viz Ear Plugs are available in 3 pair and 7 pair packages. McKeon Products, Inc. is proud to introduce Mack’s® Hi Viz Ear Plugs the only ear plugs that meet American National Standards Institute (ANSI) criteria for high-visibility in lime green safety apparel, available for the hunting and shooting market. These ear plugs are available in 3 pair and 7 pair versions. These ear plugs further complement the line of products designed exclusively for hunting and shooting enthusiasts – Mack’s® Shooters Ear Plugs. 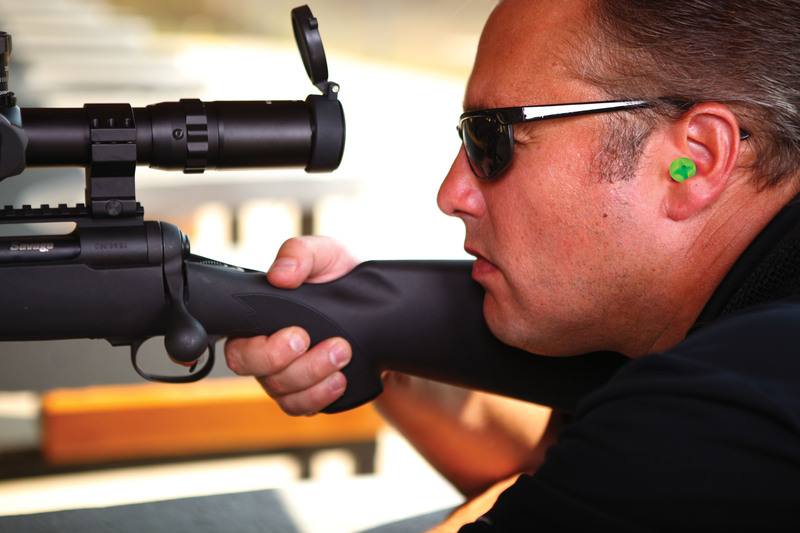 Just as different firearms and equipment are preferred by each person and for each shooting sport, different hearing protection products are preferred by each shooting sport enthusiast. For this reason, Mack’s® offers a full line of comfortable, safe hearing protection products to meet all shooters’ demands. Mack’s® is the #1 doctor recommended ear plug brand in the U.S., with a variety of products designed for sleep, travel, swimming and overall noise reduction. Since 1962, McKeon Products, Inc. has led the retail ear care industry with its original and #1-selling Mack’s® Pillow Soft® silicone ear plugs. Mack’s® is also the #1-selling brand of ear plugs and the official ear care line of USA Swimming. Today, McKeon manufactures a full range of moldable and pre-molded silicone and foam ear plugs for a variety of uses. The Mack’s® line of products also includes sleep masks, ear drying aids, lens wipes and earwax removal aids. McKeon, an ISO 9001:2008 quality certified company, is committed to supplying the highest quality, innovative products at the lowest possible price. Mack’s® Hi Viz Ear Plugs provide high visibility and extremely comfortable hearing protection while shooting.Mack’s® Hi Viz Ear Plugs are the only ear plugs that meet American National Standards Institute (ANSI) criteria for high-visibility in lime green safety apparel, available for the hunting and shooting market.